I had a cousin whom I never really got the opportunity to know well. My father and my cousin’s mother were brother and sister. Growing up, our family lived in Philadelphia and my cousin’s family lived in Washington, D.C. When they settled there I saw him occasionally but because he was older by 5 years, we didn’t have much in common. The years passed and we saw each other less and less and then not at all. When my husband was diagnosed with diabetes in 1996, I thought about calling him. I knew that he had extensive knowledge of diabetes. But as happens all too often, I kept putting it off thinking that I would eventually make that call. Days passed, weeks passed, months passed and then years passed. I never did make that call. Then came a day in March when I received an e-mail from another one of my cousins that he had died. 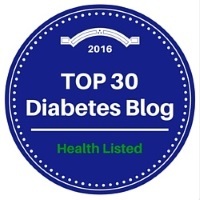 The other day I was speaking to Laddie, my new friend who graciously offered me the chance to write on this blog, and we were discussing people who are well known in the diabetes field. I happened to mention my cousin’s name and not only did she know of him, but she sent me a link to a Keynote speech presented at the Friends for Life Conference that took place in July. 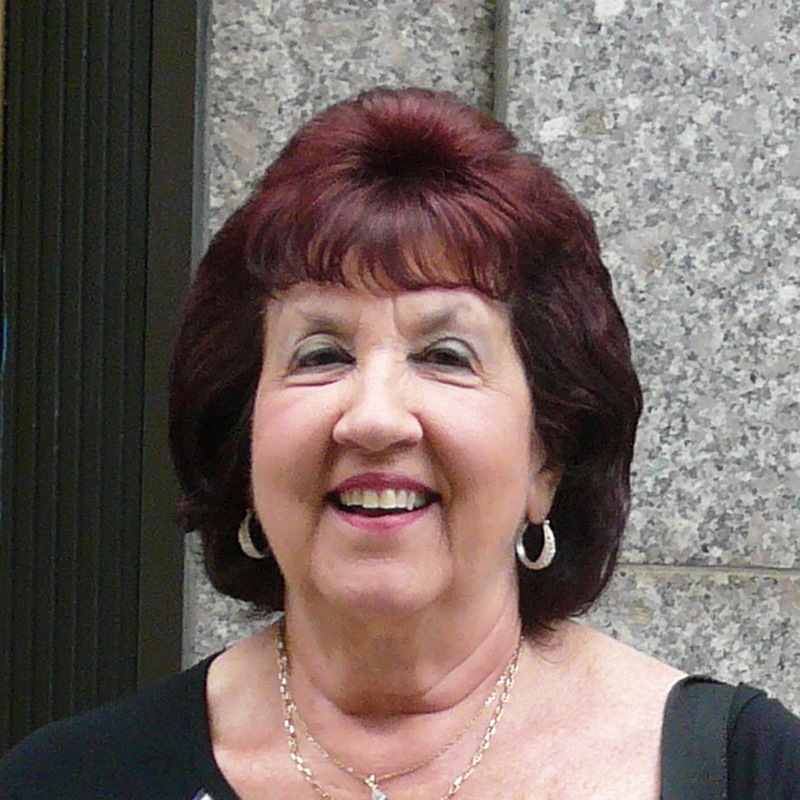 The address was given by Meri Schuhmacher and was posted on her blog, Our Diabetic Life. I read that speech with tears in my eyes and a deep sadness that I never did pick up that phone to call this wonderful man. I forwarded that speech to my cousin’s sister who has been a diabetic since early childhood. She sent me a link to another blog post written by Tom Karlya. From that post, I gained more insight into a man who was a psychologist, a professor of medicine and pediatrics, had written many publications, traveled to conferences all over the world, and was on many boards with his life’s focus being on improving the emotional care of people with diabetes. He was also a gentle man who loved his family and nature and lived each day to the fullest. Since I read these two blog posts, I have learned from other publications how well respected my cousin was in the diabetes community. My cousin’s name was Dr. Richard Rubin. I never got to know him in life but through the writings of others, I am now getting to know him. Every day since his death, I not only mourn him, but my loss in not picking up that phone. If anything is to be learned from my experience, it’s that age old expression “never put off till tomorrow what you can do today”. I lost the opportunity to get to know my cousin and find out for myself how wonderful he was and why he was so loved by his family and by those whose lives he touched. His life was a life well lived and I wish I could have been a part of it. 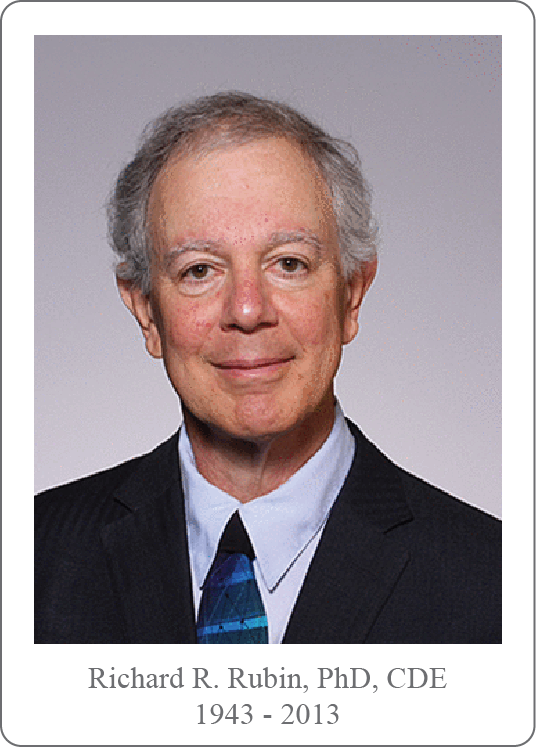 The photo of Dr. Rubin is from a tribute to him published in the July, 2013 issue of Diabetes Care.